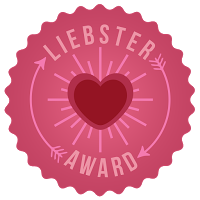 My Jubilee Swap partner, Ms Dormouse, from View from the Teapot has very kindly nominated me for the Liebster Award. It’s always such a pleasure to know that people enjoy my blog posts, and especially when they make comments, but it’s “icing on the cake” to be nominated for an Award as well. Apart from which, with my German heritage how could I ignore an award with a German name. There’s been a flurry of discussion in the genealogy blogosphere (especially in Australia) just lately over the merits or otherwise of awards. As a result of that I decided that I would not pass on awards but would refer people to my blog links on my other blog, Family History Across the Seas….many are family history blogs but there are others about photos, books, travel (scroll down the page). It also reminds me that in the throes of birthing my new blog Bewitched by Books, and finally kick-starting my From Dorfprozelten to Australia blog, that this poor Tropical Territory blog has been neglected. Tomorrow’s resolution –some new photo uploads. 3. How do you enjoy getting exercise? Sitting in front of the computer doing family history, chasing my grandchildren or taking photos? Perhaps this is why I don’t lose weight??? 5 Sweet or Savoury? What is your favourite food? With a great-grandfather who was a pastry chef and confectioner, sweet wins hands down most of the time. 7. Who is your best friend? Apart from Mr Cassmob my best friend is Linda because she’s lived through so many of my life’s challenges with me, supported me always, and accepts me for who I am. I’d be lost without her. 9 What did you have for dinner yesterday? Who cooked it? Lasagne because the grandchildren like it. Mr Cassmob was the chef. 11 Why do you love someone and who? Mr Cassmob who is my rock, my cheer squad, my best friend (Oh, that’s three reasons, not one).